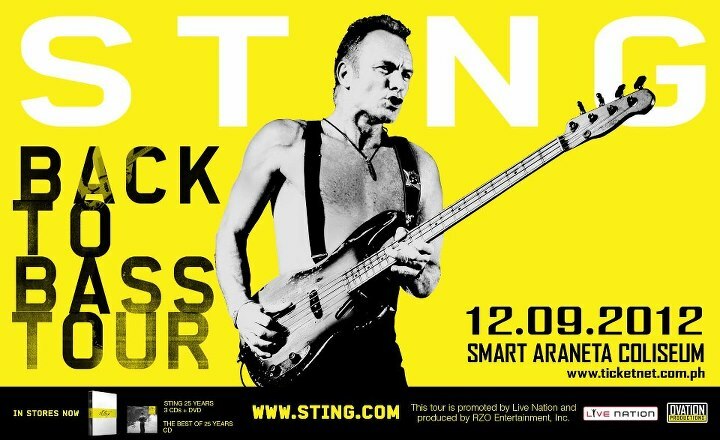 Anyone here doesn't know Sting? I'm pretty sure that my generation listened to his songs while growing up. His most memorable song for me is "Every Breath You Take" and all these years, he has contributed many valuable things for the music industry and even in charitable causes. 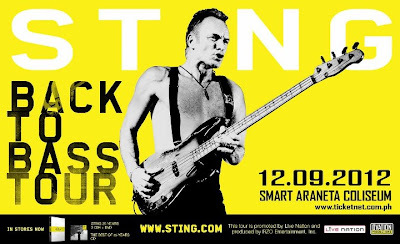 That's why I'm excited for his Back to Bass Tour this December 9, now moved at the Araneta Coliseum. Acer has been around for more than 30 years and helped us grow from one technology to the other. That is why they keep on developing top of the line computers, and this season is not an exception. 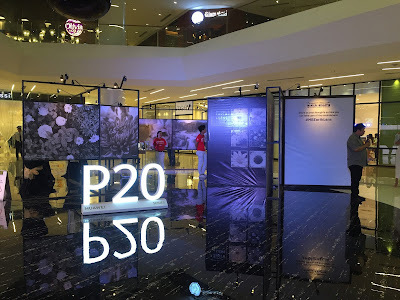 Launched at Crowne Plaza Galleria in Ortigas Center, a night of technology and fashion was able to "See. Touch and Experience" Acer. 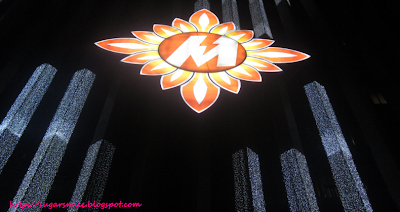 Everytime the Meralco Compound lights up, that's when I know Christmas is coming sooner. Last November 20, the Liwanag Park opens again, bringing its light displays and attractions like Christmas figures made of scrap copper wire, a mini train ride for visitors, the Toy Town and a bazaar. A popular landmark every holiday season, it is open to the public everyday until January 6, 2012 from 6-10 P.M. Still thinking of the perfect gadget this Christmas? Well let the Younghusband brothers, Phil and James tell you. 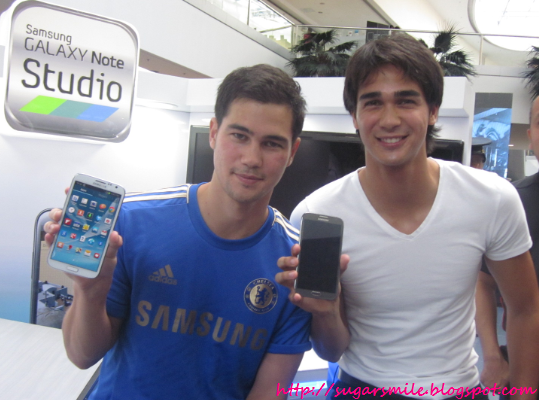 With their Battle of the Bros videos, the Samsung Galaxy Note II lets them experience how to be completely creative. Now that the Ultimate smartphone you'll ever need! Mark your calendars shopaholics! 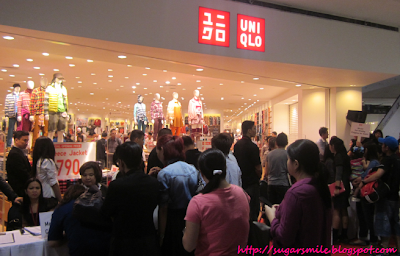 The second Uniqlo store in the Philippines opens this November 16 at the SM City North EDSA, The Block and they will already be having an opening sale. Japan's leading global fashion brand moves to the North and we are just so excited for it to open this weekend. I love KTV! If you're frequent to my Facebook wall, you would notice how many Starmaker competitions I've tried in my life. So when I found out the Centerstage KTV is opening at SM Mall of Asia, I accepted the invitation and even tried to join their first Centerstage Idol Challenge. 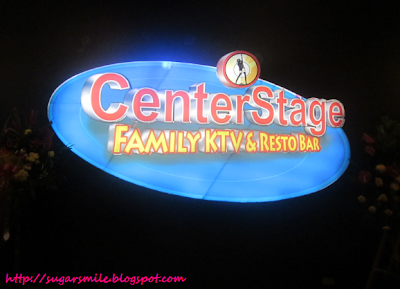 But before telling about the contest, let me introduce you to my (now) favorite place in the world, the Centerstage KTV. Opening its third branch (after Timog and Jupiter, Makati), they have been a home for inspiring divas and rock stars since 2007. What I loved about their KTV rooms are how spacious and comfy they are. Adding the best KTV sound system in the market, you will surely feel like a true blue singer (if you still aren’t) inside Centerstage. I can feel that Christmas is just around the corner. But what is Christmas without the dancing lights, the mistletoe or a giant Christmas Tree? Luckily for us, we wouldn't have to wonder. Because on November 9, the Araneta Center, together with Coca-Cola, will finally light its giant Christmas Tree. See the details below for this exciting festivity! 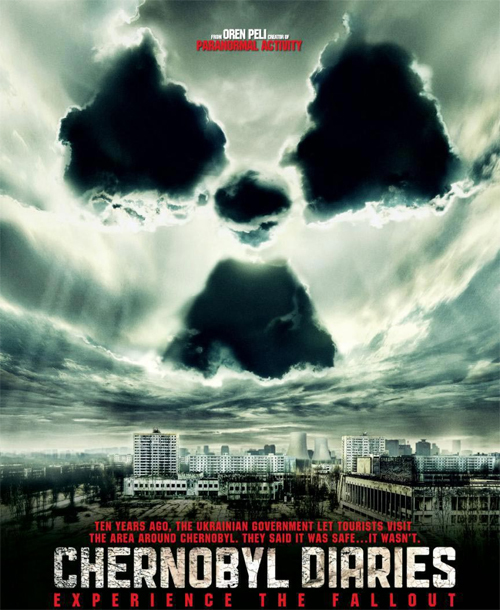 SM Cinexclusive brings us Chernobyl Diaries this November for a fright and a half. Last Monday, we were invited to the Advance Screening to this terrifying movie, brought by the creator of the Paranormal Activity films. Chernobyl Diaries is an American flick about six tourists who wanted to experience an extreme adventure. Abandoned for more than 25 years, Uri, the tour guide, takes them to the city of Pripyat, the former dwelling of the workers of the Chernobyl Nuclear Reactor. Before their adventure started, Ukranian guards have already forbidden them to enter the city due to unmentioned problems, but went through the guided trip via a special entrance. Will Top Senatoriable Chiz Escudero Be Re-elected This 2013? I am not a person who dwells too much about politics. But I am always vocal about who I want and do not want to vote. I base my decision on their platform, and what they can do to help the country, regardless how big or small it is. Three years ago, I said that I voted for Adel Tamano. Sadly, he didn’t win, but now, I am thinking of including one of the most popular senators who is up for re-election, Senator Francis “Chiz” Escudero. 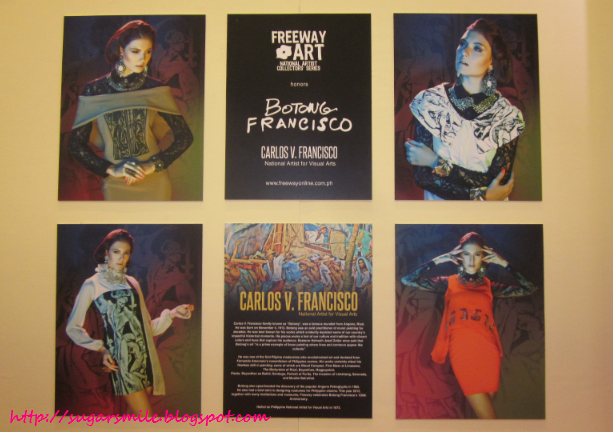 Freeway pays homage once more to the Philippine Artists as they launch the 100th year Celebration of National Artist for Visual Arts Carlos "Botong" V. Francisco with their beautiful collection, the National Artist Collectors’ Series. Last October 18, the media, fashion and art enthusiasts all gathered at The Row, Glorietta 1 to commemorate a great talent that is purely Filipino. To Pop This Pill or Not? Headaches are THE WORST! Whenever I feel something bad, I always have this need to take a pill just to stop it and go on with my life. One of my officemates would even take a leave when her migraine occurs. So as I "googled" the best pill to take, I happened to see the Saridon commercial above. I thought it was real funny, yet very violent, especially for children. But if that ad could amuse, and invite me to try their product, then I could be one of its "markets". Apparently, Ms. Janette Toral's article on Drug Safety had me on a complete halt from popping this pill. Based from http://saridon.thefilipinodoctor.com/faq.php, the ingredients of Saridon consists of 250mg Paracetamol, 150mg Propyphenazone and 50mg Caffeine. And while I adore caffeine and its products such as coffee, I can't help but get worried about the Propyphenazone content in the drug. Even in its Wiki definition, Propyphenazone and even Saridon is already banned in other countries. What I could not understand is how they can get away with selling the product, without prescription necessary, amidst the fact that its causing health related problems already. My Mom, who is a nurse, refers to MIMS if she needs a certain drug. According to its page, Propyphenazone's drug reaction includes hypersensitivity reactions; nephrotoxicity, nausea, drowsiness, coma and convulsions on large doses. Would you want to have your headache gone, only to be replaced with these side effects? I know I don't! I hope the the Department of Health and its manufacturer, Bayer would regulate drugs like Saridon. Or even answer as to why its cheaper and easily bought in spite of its side effects. After all, we would want to lessen the pain, instead of triggering another one that would blow up to our face so easily.